Craig Widdison will saddle up two runners to the Wangaratta turf club meeting on Tuesday, June 6 with 10 events to be run under overcast conditions. 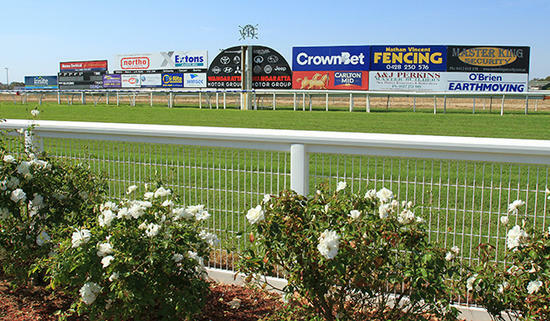 Mr Fergus will compete in race three in a maiden plate over 1400 m with Craig Newitt aboard jumping from barrier one. He was last seen running third of 13 at Wangaratta with Nick Souquet arriving 1.65 lengths behind the winner. Cagney will compete in race eight with Nick Souquet aboard jumping from barrier (4) in a BM 70 handicap over 1170m. Last time out he ran third of nine at Wagga with Nick Souquet the pilot arriving 5.75 lengths behind the winner over the thousand metre trip. Best of luck to connections with their runners at Wangaratta on Tuesday.